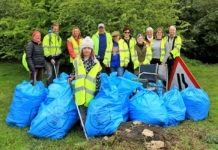 Pictured from left, Norfolk Woods’ Paul Cordery, Anne Foulkes and Kerry Mitchell. 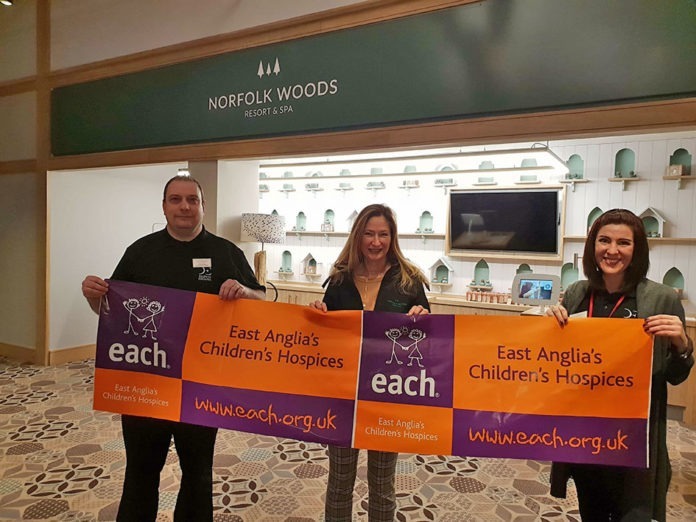 East Anglia’s Children’s Hospices (EACH) has teamed-up with a West Norfolk-based business as its latest corporate partner. Holiday resort Norfolk Woods Resort and Spa at Pentney has been announced as the charity’s new partner. 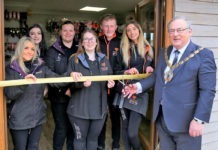 The revamped park caravan site opened recently. It is part of Darwin Escapes which has 22 award-winning sites across the UK and offers luxury lodge retreats. Tina Burdett, EACH West Norfolk regional fundraiser, said: “EACH is extremely pleased to have the support of Norfolk Woods Resort and Spa as it introduces itself to the West Norfolk community. EACH offers care for children and young people with life-threatening conditions across Norfolk and other areas and also support their families. 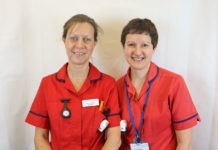 It has hospices at Ipswich, Milton near Cambridge and Quidenham near Norwich.